Airbnb is easy! Why should I use an Airbnb manager? Don’t you just love Noosa? With a variety of holiday homes, safe beaches, a river perfect for watersports and fishing, National Parks abundant with wildlife and top notch cafes and restaurants. It’s no wonder it’s one of Australia’s top holiday destinations! How many visitors and where are they from? 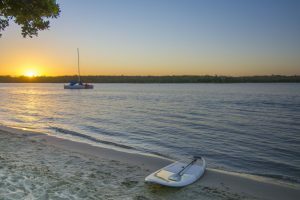 The beauty of Noosa is no secret, according to Tourism Research Australia, at the end of the 2016 calendar year, Noosa hosted 160,000 international visitors, 883,000 domestic visitors and 349,000 interstate visitors. These visitors stayed for over 4.5 MILLION nights! Top international markets include the United Kingdom (42,000) Germany (23,000) and New Zealand (22,000). Lucky for you, both Melanie and Nadja, founders of Team BnB speak German – so we have the top three languages covered (although we still struggle understanding one of the English ones)! So where do all of these people find their holiday homes? If you live in Noosa, you’ve probably heard the word ‘Airbnb’, it’s a bit of a hot topic around here. Airbnb allows people to rent out their homes or investment properties as short term holiday rentals. Homes can be hosted on a temporary basis (say, if you are going on holidays and you want the extra cash) or on a permanent basis (a full time holiday home). Airbnb has over 3 million listings worldwide. Most of these are in Noosa – just joking! But, Noosa does have its fair share of listings. Why should I use Team BnB to manage my Noosa holiday home? It’s easy enough to list your property on Airbnb. Take some photos, write a description, pick a price and wait for the bookings to come in. You might be waiting for a long time though. Depending on how good your photography was, how detailed of a description you wrote and how you priced it. You also need to maintain your listing – EVERYDAY! Airbnb lists the properties it thinks will make the company more money, higher on its search engine. Team BnB specialises in the Airbnb letting platform. Each of our listings receives a lot of attention. We understand and take advantage of Airbnb’s algorithms to ensure each property is highly visible to travellers visiting Noosa or the Sunshine Coast. We constantly review your property’s pricing structure depending on Noosa’s seasons to ensure your profit is maximised. Each calendar is kept up to date – daily. In addition to the above, our guests are happy guests which means we get great reviews. We inspect each property prior to guests arriving, warmly meet each guest and genuinely enjoy informing travellers about the beautiful paradise we live in. We bring customer service and quality hospitality solutions to each listing – something often missed in the Airbnb space. If you have a holiday home or investment property in Noosa or close by, we would love to have a chat. We are currently offering a introductory rate until 30 June 2017. Team BnB – Permanent Rental or Airbnb? What Achieves the Best Yields? Yes! There is nothing better than having freshly laundered linen in your Noosa holiday rental. Hey Nadja, How many airbnb rentals approximately do you think are in the Noosa Shire? Hi Rod, I’m not sure how many Airbnb rentals are in the Noosa Shire. According to a recent article in the Noosa News there are over two thousand although it doesn’t say how they came to that figure.